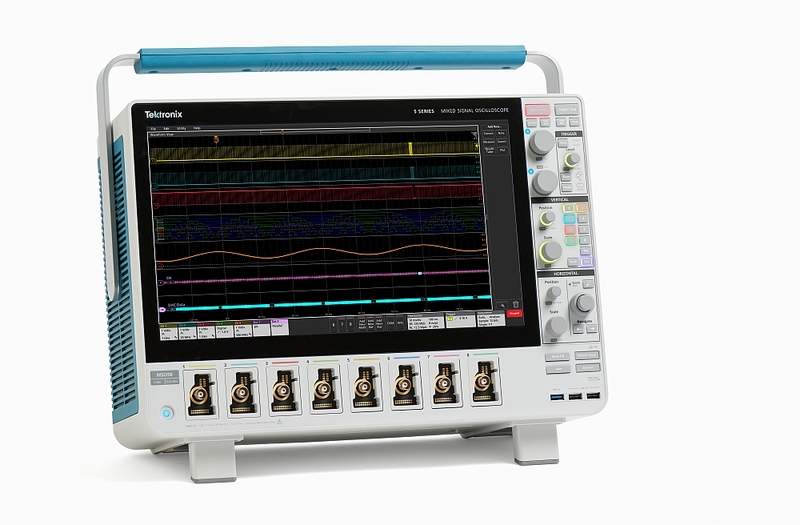 In parallel with the launch of software options for automotive bus testing, Tektronix announces two new options for its MSO Series 5 oscilloscopes. One software option is intended for power analysis, the other for aerospace serial bus analysis. The 5-PWR power measurement and analysis solution leverages the number of channels and 12-bit resolution of MSO Series 5 oscilloscopes to automatically perform a variety of power measurements and analyses: power quality, harmonics, loss of switching, safe operating area (SOA). For measurements on GaN and SiC power semiconductors, the 5-PWR measurement solution can be combined with Tektronix optically isolated IsoVu probes for automated multichannel measurements of critical signals and switching voltages. The 5-SRAERO option provides serial trigger and decoding solutions for the most commonly used serial buses in the aerospace industry such as MIL-STD-1553 and ARINC 429. These software options are now available starting at €2,280. These analysis solutions are designed to enable users to take full advantage of the features of Series 5 MSO Oscilloscopes launched on the market in June 2017. 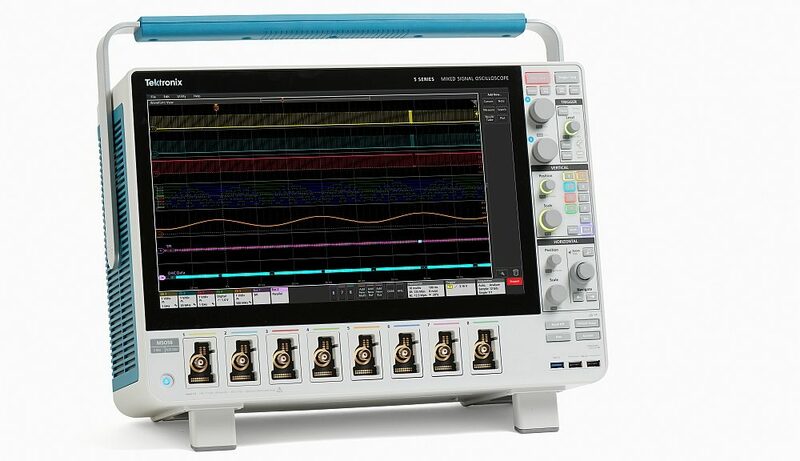 As a reminder, the oscilloscopes of the Tektronix MSO 5 series stand out for their flexibility in choosing the number of analog and digital channels. They offer 4,6 or 8 analog inputs, each of which can accommodate a probe with 8 digital channels. This makes it possible to combine up to 64 digital inputs on the same platform. Their frequency band is scalable after the purchase of 350 MHz, 500 MHz, 1 GHz and 2 GHz. These instruments are equipped with 12-bit analog-to-digital (ADC) converters and a 15.6-inch capacitive touch screen.